A wintery day. Fairly empty streets. 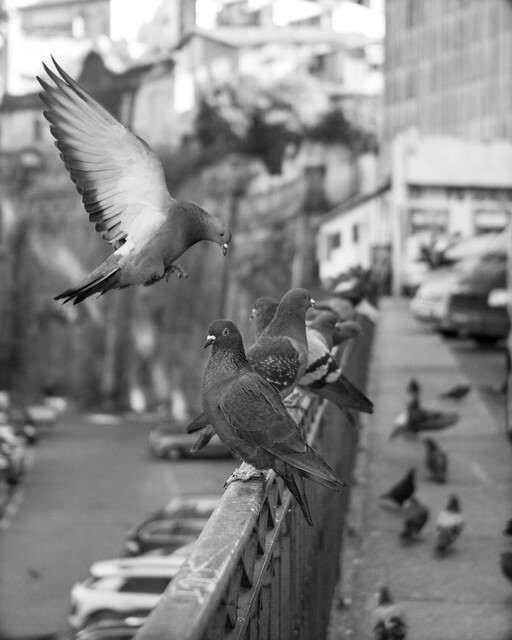 Trying to make an image… I found only pigeons, not people. I waited a bit and one came along to give the shot a bit of swoosh.